KENWOOD BRINGS UNLIMITED PANDORA TO THE DNX5080EX: When you play Pandora via your smartphone through the DNX5080EX, you can enjoy unlimited ad-free listening until 2014! You will be able to select stations, fast forward and skip songs, Thumbs Up and Thumbs Down, all without interruption or ads. iPhone With a separate cable, you?ll get control of your Pandora Internet radio, Aha Radio, and iHeartRadio apps through the receiver?s touchscreen when connected. App Mode also gives you limited control over other select apps on your phone. The DNX5080EX also offers compatibility with your iPhone?s Siri feature for select email, Bluetooth calling, and iPod commands. Android: You?ll get control of your smartphone?s Pandora, Aha Radio, and iHeartRadio apps through Bluetooth, so no cable needed. The Kenwood Music Control app also gives you easy search and playback functions of your Android phone?s music through the receiver. 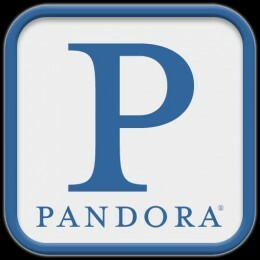 BlackBerry: You?ll get Pandora Internet radio app control through Bluetooth, so no cable needed. NAVTEQ traffic information for major metropolitan areas comes with the DNX5080EX, at no cost to you. You?ll be able to see congestion along your route and find a way around it from the driver?s seat. Built-in Bluetooth lets you make and take calls through the receiver via your compatible phone. When your iPhone?s connected with a cable, the receiver will automatically send a pairing request to your phone ? all you have to do is accept or deny the request. The Kenwood DNX5080EX also supports wireless audio playback (AD2P) and control (AVRCP) of any Bluetooth enabled audio player or smartphone. The DNX5080EX also features an HD Radio tuner. You?ll enjoy much-improved AM/FM sound quality when you?re tuned into a local participating station, and there?s no subscription required ? just tune it in like a regular radio station. This receiver will play all your CDs and DVDs, including discs loaded with music files, while a rear A/V input offers a connection for any other audio/video sources. You can plug your iPod or a thumb drive into the rear USB port, and enjoy all your favorite albums and playlists. No matter what you?re listening to, Kenwood designed the DNX5080EX to send a crisp, clear audio signal to your speakers, and you can use the 3-band parametric equalizer and other soundshaping tools to adjust the sound for your vehicle. The high-resolution 6.1? WVGA screen is perfect for viewing video from DVDs or other sources when you?re parked. You can tap into video content on your iPod or iPhone with the help of an iPod?cable? (not included). When you?re on the road, you can play movies through a rear-seat monitor for your passengers. It?s a great way to combat boredom on long road trips. You can hook up a satellite radio tuner (not included) to the receiver and access the wide variety of entertainment, sports, news, and commercial-free music satellite radio provides. You can also connect a rear-view camera, so you can see what?s behind you as you back out of a tight parking space. If you?re looking to add amps and subs, you can take advantage of three sets of preamp outputs available, including a dedicated subwoofer output with low-pass filter and level control. If your Ford vehicle comes with factory SYNC features, you don?t have to worry about losing your favorite conveniences to get navigation and better sound ? the DNX5080EX offers compatibility you won?t find in many other aftermarket radios, thanks to the?iDatalink Maestro module. For SYNC systems, you?ll be able to retain voice-controlled features, steering wheel audio controls, and factory audio functions, plus enjoy expanded functionality including gauges, climate controls, a distance sensor, and tire pressure monitor. The DNX5080EX will also be compatible with GM OnStar and Chrysler uConnect systems, with adapters from iDatalink coming soon. 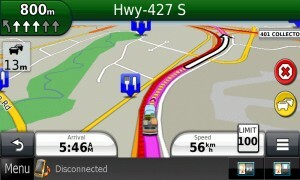 Garmin GPS Navigation System: DNX models offer the world?s leading GPS navigation system by Garmin. With preloaded NAVTEQ? map data of the United States, Canada and Mexico, including Alaska, Hawaii and Puerto Rico, you can choose from different intuitive map view options including split-screen AV control. Navteq Traffic: NAVTEQ provides real-time traffic data for over 90 major cities in North America, including Canada. If traffic is congested up ahead or there is a road closure, the navigation system will automatically re-navigate the route to show you how to get to your destination, quickly and easily! Alternatively, in manual mode, the system will add delay time to your trip so you can decide to avoid or continue on your current route. Navteq Traffic offers great value as it includes a lifetime service subscription. Lane Assist: The Lane Assist function guides you to the appropriate lane to be in for upcoming junctions and interchanges facilitating a safer navigation experience. Traffic Trend: Traffic Trend calculates preferred routes based on historical traffic data as routes driven at 7am on a Monday morning will have a different traffic pattern history than at 9am on a Sunday. This functions delivers a more realistic and accurate preferred route to save you time. Navigation Split Screen AV Control: The screen views, which can be easily toggled from one to another simply by touching the screen or appropriate button, can be changed to best suit specific needs. For instance, Split Screen AV Control divides the screen into two, with navigation on the left and a control window on the right for audio/video sources. Built-In Bluetooth A2DP Music Streaming – Enjoy wireless music playback from your Bluetooth device like a smartphone or tablet via Bluetooth through your in-dash receiver. 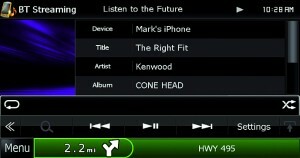 Check for Bluetooth phone compatibility at http://www.kenwood.com/cs/ce/bt. 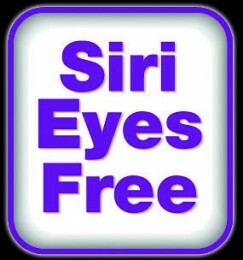 Siri Eyes Free? & Voice Dialing Support: Easy 1-touch access to Apple?s Siri for total convenience of voice control for dialing, text messaging, email, music playback and a host of other voice supported functions on the iPhone 4S/5. Voice dialing functionality is compatible with other device platforms from Android and BlackBerry. Built-In HD Radio: Digital HD Radio broadcasts not only mean CD quality FM sound and great sounding AM, it also means additional information can be broadcast simultaneously such as Song and Title information, Album Art, unique images related to songs, radio station promotions and additional content. USB Connectivity for iPhone, iPod and compatible USB mass storage devices: USB-enabled DNX receiver models, feature USB connectivity for audio playback from popular devices like iPhone and iPod. Featuring easy-to-use user interface, iPod browsing is a breeze when searching by playlist, artist, album, song, genres or composer. The user can also search by Album Artwork. For added versatility, iPhone App mode enables various audio and video apps to play on screen (requires iPhone 4/4S with optional KCA-iP202 cable). It also offers 7 command controls for various applications. Additionally, the same USB connectivity allows users to connect USB thumb drives and external hard disk drives. 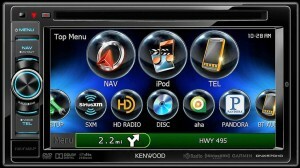 Check for iPhone-iPod compatibility at http://www.kenwood.com/cs/ce/ipod. Pandora Connectivity for Smartphones: Install the Pandora App on compatible iPhones, Android and BlackBerry smartphones, and enjoy a personalized listening experience. Aha Radio for iPhone/Android: Aha Radio organizes your favourite personalized content from the web along with on-demand internet radio stations using your phone?s data plan and makes them easily accessible in the car through the on-screen interface. For more information, please visit http://www.aharadio.com/ . 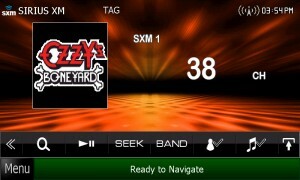 SiriusXM Ready: Connect, control and enjoy satellite radio from SiriusXM, including new SiriusXM XTRA Channels with a single direct connection to a DNX receiver with optional SiriusXM tuner SXV200. 2013 DNX receivers can take advantage of the SXV200 advanced features such as TuneStart?, Smart Favorites?, channel logos, artist/song/game alerts, iTunes tagging or SiriusXM Replay?. Rear USB Input: Easily connect your compatible USB-enabled devices to the rear USB connection. These include iPhone and iPod devices as well as compatible Mass Storage Class devices like smartphones, USB thumb drives and portable hard drives. This USB input will allow you to charge and control the music playback on your connected device (maximum 1A charging). Variable Color Illumination: This allows the user to match the Kenwood unit?s illumination with the vehicle dashboard lights. Users can color-coordinate the background colors to their preferences and change key illuminations from the wide pallet of available colors to match any dashboard lighting conditions. Rear View Camera Input: Eliminate blind spots and improve safety when reversing your vehicle by adding an optional reverse camera. Once the camera is installed, as soon as you put the vehicle into reverse, the rear view image will appear automatically on the DNX5080EX display. Three 2.0V Pre-outs with Crossover System: Get the most out of your audio system by adding external power amplifiers to maximize sonic performance. Using the built-in crossover system, you can also easily filter out unwanted frequencies to your speakers and subwoofers to tune your system to its maximum potential. 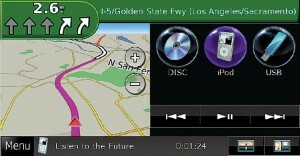 Ford SYNC integration solution: In a collaborative effort with ADS (Automotive Data Solutions), Kenwood offers the ultimate interface solution for most Ford SYNC models from 2008 to 2012. Connect the optional iDataLink Maestro RR module to a compatible 2013 DNX/DNN model receiver and seamlessly interface factory infotainment features such as Satellite Radio, USB Media Player, Bluetooth Hands free and Music Streaming. Additionally, the DNX5080EX will then communicate and display the on-board features of the vehicle, including Gauges, Climate Control, Parking and other Vehicle Information. *Retained features may vary by vehicle. Check compatibility at http://audio.idatalink.com/maestro. 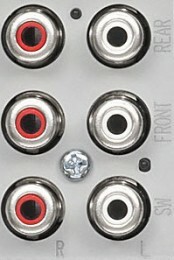 Maestro RR module and additional accessory cables required.